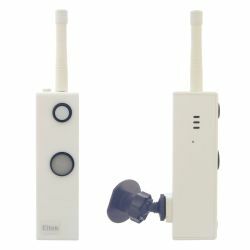 Eltek will provide a wireless or wired product solution that meets the needs of your application. Whether it is a stand-alone solution running Eltek Darca software or a large-scale system with data being automatically sent to the Cloud to interface with your own software, we can meet most customer requirements. Working either directly or through our network of specialist distribution partners, we can provide either off the shelf or bespoke solutions. With products designed and manufactured in Cambridge, UK we have over 30 years of experience and supply products for the following areas: Environmental Monitoring, Air Quality, Conservation, Building, Industrial applications, Utility suppliers and many other markets. 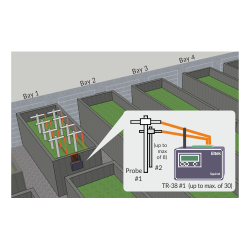 Wireless transmitters for measuring data. Receive and log transmitter data. Modular design with many sensor types. 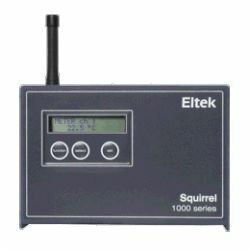 Mini Squirrel dataloggers for a single measurement point. Windows software for download / analysis. 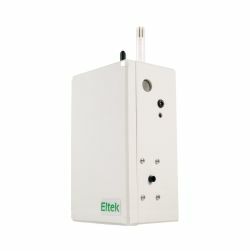 Eltek are releasing a brand new product - the GDLM10, for Air Temperature and Relative Humidity monitoring. 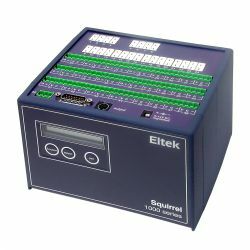 The GDLM10 is a transmitter with simultaneous logging; capable of being used for monitoring objects during transit, or as a standalone monitoring and logging solution. Combined with our range of software, this product allows for seamless data collation and analysis, whether it is being used in situ or on the move. Data can be simply downloaded from the unit, and optionally stored in a database, allowing you to access all of the usual powerful features that our software offers, such as charting, metering, report generations and statistical analysis. We have a live demonstration of data visible on a web browser being automatically updated from Darca Heritage. You can now see the temperature in our office and in the greenhouse in the garden as we work! 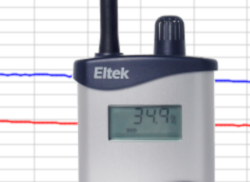 The Eltek in-house test system consists of an RX250AL receiver / logger and an SRV250 receiver / logger connected to transmitters which measure environmental parameters in various locations. These locations include internal office buildings, outdoor locations (for weather data) and outbuildings. The RX250AL is located in the office with the 'Office Internal' GD10W nearby. The RX250AL is permanently connected to a Windows PC running Darca Heritage 2, which downloads it every five minutes and uploads the data as a CSV file to an Amazon EC2 Nano server, which is running the online viewer software. The SRV250 is also located in the office and sends the data it receives from its transmitters to an Amazon EC2 Nano server which is running the Eltek GPRS Gateway software. Darca Heritage 2 connects to this server via FTP every five minutes to retrieve the data, format it, and send it back to the EC2 server. We are pleased to announce the introduction of a new Lux and UV light sensor, specifically designed to meet the cosmetic requirements of display cabinets. This unit is substantially smaller than the current GL70 model whilst maintaining the performance and battery endurance specification of the trusted GL70. The mounting bracket displayed in the image must be ordered separately. As part of our series of case studies, this one focuses on compost monitoring. 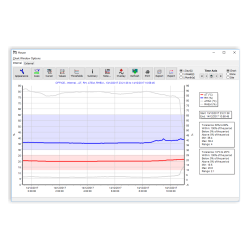 With a combination of custom hardware and software the Eltek Compost monitoring system provides a complete solution which provides the ability to meet regulatory compliance requirements either for a composting bay method or for a wind rows method of composting. Stream transmitter data anywhere via the mobile phone network, giving you real time access to the sensor outputs from anywhere you choose. The SRV250 "pushes" data to the mobile network whenever a logging takes place. Provided the collection of the data has been setup at some location - either on a cloud server or on a physical PC connected to the internet - then data upload can take place. If the data collection point is unavailable, the SRV250 continues to log, storing data in its internal memory. When the data collection point is reconnected, the SRV250 automatically uploads all stored data and thereafter it returns to uploading data whenever a log takes place. The first release of the GenII MS "Mini Squirrel" series is intended for RH, temperature and CO2 applications. 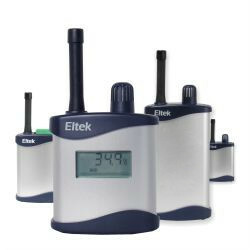 The dataloggers are battery operated and ideal for short or long term environmental monitoring. 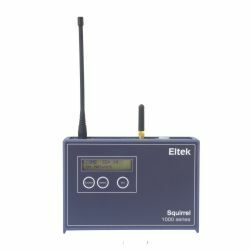 Mini Squirrel is ideal for monitoring smaller spaces such as galleries or laboratories. A feature of the Mini Squirrel is ease of deployment and data download. A top panel mounting jack socket is provided for data download. 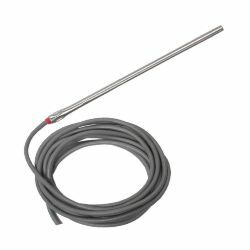 The scrolling LCD display provides real time sensor values and screen prompts inform the user that the logger is set up and ready to go as required. 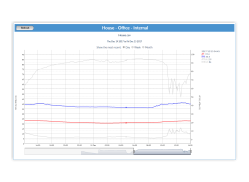 Eltek's Darca Lite Windows software is designed for use with the MS Mini Squirrel, enabling the user to configure, download data, and graph historic data quickly and easily. 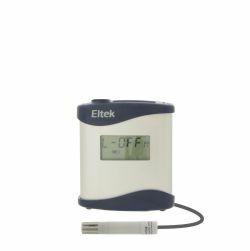 The GenII Logmitter range is a series of devices launched by Eltek in 2017 that can be configured either as a conventional GenII transmitter or a a standalone datalogger. Configured as a logger and deployed alone, it is ideal for smaller spaces and short term or temporary events in sites such as galleries or laboratories. For large buildings, e.g. city block museums, storage areas or research laboratories, it can be deployed as a transmitter with other Logmitters which are also configured in transmitter mode, reporting to a receiver. Used together with Eltek Darca Heritage software, which is designed for conservators and collection managers alike, it provides the ideal solution for detailed environmental audits and day to day monitoring. Logmitter simply grows with your expanding requirements with all data available on a common platform. Eltek data loggers with Eltek GenII transmitters, installed and maintained by Britannia Monitoring Systems, are used to monitor critical parameters in several separate installations at the world famous Addenbrookes Hospital site in the UK. 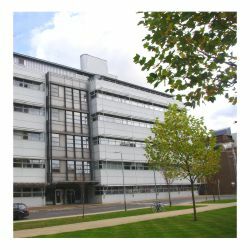 In 2010 Eltek was invited by the CIMR to improve the system it used for monitoring its laboratory refrigeration and freezer installation at Addenbrookes. The old system used fixed wired loggers that could no longer meet the requirements of a growing and evolving laboratory environment. Britannia has a long history of working in close partnership with Eltek to provide turnkey solutions for customers along with cradle to grave support at a service level tailored to the customers need. For the CIMR, it was very important that the system was installed without disruption to its day to day activities, Britannia achieved this outcome, meeting the technical demands of configuring and installing the system by working with engineers at Eltek to provide an optimum outcome. Canterbury Cathedral is the Mother Church of the worldwide Anglican Communion, and it has been a UNESCO World Heritage Site since 1988. This is a complex and prestigious site which has been in use since the 7th century. A wide range of specialised heritage and conservation professionals now assist in managing the site. Understanding the micro-climates within and around the building as well as understanding changes in the building itself are crucial to the maintenance of the fabric and care of visitors and worshippers in this very active Cathedral. 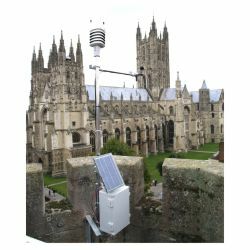 The Eltek monitoring system at Canterbury was initially installed in 2007 and has evolved over the last 10 years, demonstrating the flexibility, ruggedness and reliability of the Eltek product range. 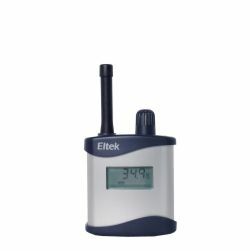 The versatile and modular range of sensors in the Eltek system allows for a wide range of sensors to be added as and when required. This example of monitoring the conditions at Canterbury Cathedral illustrates the phased expansion capacity of the system as the data is interrogated in increasing depth. There are many areas of the cathedral site being monitored. This case study gives a brief description of each area. The Natural History Museum is a scientific centre of global significance and a leading visitor attraction. It holds vast collections of natural history specimens estimated to be in excess of 80 million items which provide a scientific resource used by researchers from the UK and abroad. Data from the collections enables research into many important subjects from the origins of humans to the formation of the solar system. The museum has a number of touring exhibitions both in the UK and abroad. 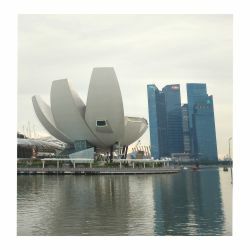 Treasures of the Natural World are currently on display in the ArtScience museum in Singapore and previously in Tokyo. The content of the exhibit is wide ranging, many items being sensitive to light, changes in relative humidity, incorrect relative humidity and of course temperature which also requires control as high temperatures can increase rates of deterioration as well as affect the relative humidity. The curators felt that it was important to remotely monitor the collection as this would ensure that the it was kept in a safe environment. The value of the real time reporting gives immense reassurance.